Anne, as a child, were you aware that you were psychic? In retrospect, what were the signs that you had psychic abilities? When and how did your psychic skills begin to develop? 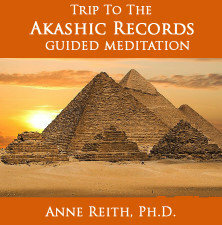 When did you start your formal training within the metaphysical field? When did you become interested in mediumship? When did you become interested in the healing arts? Why are you currently not conducting private readings and healings? When you do conduct psychic readings or mediumship, what is your approach? When you do conduct healing sessions, what is your approach? 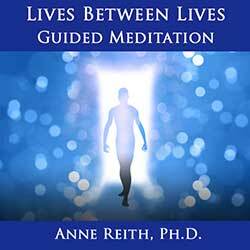 What was your background and training before entering the metaphysical field? Anne, as a child, were you aware that you were psychic? Unlike some professional psychics, I had no idea that I had psychic abilities as a child. It wasn’t until I began studying psychic phenomenon in my early 40’s that I began to understand that the skills had been there all along, although they weren’t fully developed yet. What I do remember is that even as a child/adolescent, I repeatedly asked in prayer how I could better serve God. Although my formal religious upbringing was liberal (i.e., Congregational Church), my world always seemed to be filled with spiritual issues, religion, and metaphysical topics. My maternal grandmother, Lillian McCombs McClay, was said to have read tea leaves. And I remember that my siblings and I would play with tarot cards and a Ouija board. But I have to attribute much of my interest in metaphysics to my paternal grandmother, Marian Brown Reith, who was trained by the famous psychologist Carl Jung in Zurich, Switzerland. 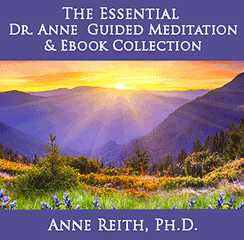 She was one of the first practicing Jungian Analysts in the State of California. Jung was very interested in religion, psychology, and astrology, and my grandmother was very open to talking about these issues with me, which we would do for hours. In retrospect, what were the signs that you had psychic abilities? As is true for so many of my students, I can now look back at my childhood and see very clear evidence of my psychic abilities. They were there, but there was no one present in my life to recognize them for what they truly were. In fact, the skills I did exhibit were even described as “problems” by others. For example . . . I was often described as “sensitive,” “emotional,” or having a “nervous stomach,” all of which are very common in psychic children. It’s interesting to note that I was often sick or had a “stomach ache” when something traumatic was about to happen in my family-of-origin. I now understand that my stomach aches or sickness was a form of clairsentience or empathy. I was “taking on” the emotions or energy of those around me, which was making me sick. I was often described as a “know-it-all” in school or as an “old soul.” I now understand that these are often labels used to describe children who are claircognizant (i.e., the ability to know something without being able to explain how this information is known). My first love within metaphysics began when I was 16 years old. At that time, I received a birthday gift of an astrological reading from a “Master Astrologer,” Margaret Granger. I was astounded at how accurately she knew things about me! I began studying astrology at that time, and I still find this subject endlessly fascinating. It wasn’t until the early 80’s that I began to explore psychic issues. While in a bookstore in Berkeley, California, my then-husband, Bob, asked if I’d ever heard of something called runes. He suspected that I might enjoy using them because he knew of my growing interest in psychic phenomena. He also pointed out that runes are believed to have Celtic origins, and I have a strong Irish lineage. So we bought a set and began to “play” with them at home. I quickly fell in love with them. I would “pull” a daily rune for myself, which I often found very helpful. Eventually, Bob began to approach me with questions for “The Rune Mistress.” Later, when I began to share my use of runes with close friends, they, too, would ask for readings. However, during these experiences with my runes, I never thought of myself as “psychic.” I would read the description in the “book” that was provided with the runes, and I would “go with” whatever the author said. To me, this was just reading what the author had said and did not entail being psychic. However, in retrospect, I can see that my skills were there but I didn’t know it (yet). For example, when doing a “rune reading” for someone else, I would read aloud the interpretation that the book provided. After this oral recitation, the person would often ask something like, “Well, of all of that information, what do you think is most important.” I always seemed to have an answer . . . and my “opinion” often turned out to be correct. Again, this experience would be a typical description of someone who is psychic but doesn’t know it (yet). Additionally, I can now see that my psychic abilities were present during my work as a Psychologist — I just didn’t recognize what they were at the time. For example . . . Even as a beginning-level trainee, I quickly became a popular counselor (i.e., I had a wait list of future clients). This is not typical. I can now see that “the word got out” that there was a counselor on staff who often “knew things” that would help her clients heal or grow. I thought all counselors could do this, and it wasn’t until much later that I began to understand that I was doing something that was different from many of my colleagues. One of my clinical specialties was the training and supervision of counselors-in-training. I would often be sitting with a trainee and would make a suggestion, such as, “Don’t be surprised if during your next session with your client, s/he (fill in the blank)”. Often, the trainee would come to our next supervision session and say, “How did you know that was going to happen?” As is true of most of us when we encounter something we don’t understand, I would rationalize why I knew what was going to happen. For example, I would often simply respond that “I’ve just been doing this longer than you have.” That explanation seemed realistic, but I now understand that it wasn’t accurate. I was unknowingly using “other skills” that would have been hard to explain to a trainee in a traditional counseling program . . . let alone explain to myself! It wasn’t until my early 40’s that I began to feel “called” to learn how to be a psychic. Around this time, a friend told me about a psychic who had been amazingly accurate during a reading with her on the phone. I set up an appointment, mostly out of curiosity. Much to my surprise, this woman “nailed” all the issues that were going on my life at that time . . . even over the phone! I was immediately intrigued and wanted to learn more about what she was doing. I began reading everything I could find on the subject. I was like a kid in a candy store . . . I couldn’t get enough! One of the first books I read was Divine Guidance by Doreen Virtue. Because Doreen had a background in psychology, like I do, I found that some of her work resonated with me. I was very lucky to find someone who could be my first “teacher,” even though I wasn’t able to attend her classes at that time. Even after reading a lot of books, I didn’t consider myself a psychic, nor did I ever consider that I would, one day, be working within this field. However, when I was going through a particularly difficult time personally, a friend suggested that I go to a psychic fair. 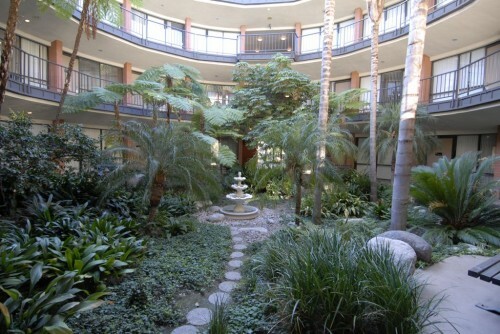 This is where I met Suzan, another psychic who “nailed” the issues that were going on in my life at that time. She gave me an amazing reading and provided spiritual guidance to several pressing issues in my life. At the end of this reading, Suzan asked me if I knew that I was psychic and that I would one day be doing what she was doing. To be honest, I thought she was completely nuts! She didn’t push. She just said that when I was ready, I might want to come to the Psychic Development class that she was teaching at the Learning Light Foundation in Anaheim, California. I left there feeling totally unready to consider this option! Me . . . a psychic? I was a Psychologist, not a psychic! But the idea would not leave my head, and I thought about it every day. It took me two months before I felt ready to go to my first class with Suzan. I was scared to death as I walked into the Learning Light, but Suzan welcomed me with open arms. Although I loved working as a Psychologist, I began to sense that I’d found “a spiritual home” within the field of metaphysics. And as was also predicted by Suzan during that initial reading two months earlier, my psychic skills developed extremely quickly. Why? Suzan explained that I’d already been using my psychic abilities my whole life (e.g., clairvoyance, clairaudience, clairsentience, empathy, claircognizance). I just didn’t know what I was doing. I quickly discovered that in addition to being a psychic (i.e., the ability to receive messages from Spirit), I was also a medium (i.e., the ability to talk to those who have crossed over) and a natural channel (i.e., allowing entities to communicate directly on the Earth plane by merging with me). During my time in Suzan’s class, I became ordained as a multi-denominational minister. I also served as Co-Director of a metaphysically-oriented spiritual group that was founded by Suzan called Illuminations 22. As Suzan had predicted, I was on “the fast track” for my psychic development. Although not typical of most students, my development was, indeed, fast and furious! After only six months, I began doing professional readings and healings at the Learning Light Foundation’s Psychic Faires. Soon thereafter, I began seeing clients for private sessions and teaching my Thursday evening “Psychic Development and Channeling” class at the Learning Light, which I’ve been doing every week since 2002. 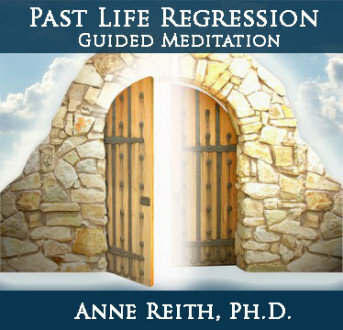 Sadly, the early death of my mother when I was 17 sparked my interest in mediumship. I would often read about life after death experiences, which gave me great hope that my mother was happy and in a better place. But I never dreamed that I would one day work as a medium! My training as a medium began when I was in my psychic development class and the teacher, Suzan, had us practice doing mediumship. I was as shocked as my classmate when I clearly was able to connect with and describe her grandfather. I learned from this experience that you never know what you can (or can’t) do until you try it! I continued my training by taking courses and workshops with several other teachers. Being a medium is one of my greatest joys! I love being able to connect people with deceased loved ones. As a Psychologist, I specialized in grief and loss. In this role, I might have to work with someone for several sessions to help him or her work through unresolved issues with someone who had died. 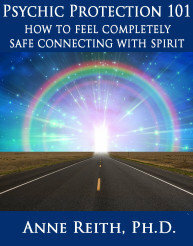 With mediumship, often all those unresolved issues can be dealt with during one session. Why? Because the person is able to speak directly with the deceased loved one and they can work out their unfinished business directly. My mother was a nurse and one of my brothers is a Physician’s Assistant. I have always lived in a “medical family.” Medical issues and healing were often discussed, and I briefly considered becoming a nurse. However, once in college, I found that my interests were primary in healing the mind and not the body, so I majored in Psychology. But I didn’t even know that there were healing techniques outside of Western medicine (e.g., Reiki). It wasn’t until I was in my psychic development course that I heard about Reiki and other energy healing techniques. Suzan encouraged all of her psychic development students to learn the spiritually-based energy healing technique called Reiki, because she said it would “jump start” our psychic abilities. I was all for that . . . and she was right! 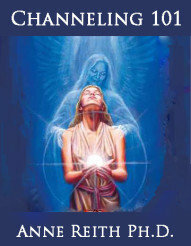 Although I took Reiki to increase my psychic abilities, I also learned that I loved doing healings. Additionally, I also intuitively sensed that I was eventually going to teach Reiki, which is true. 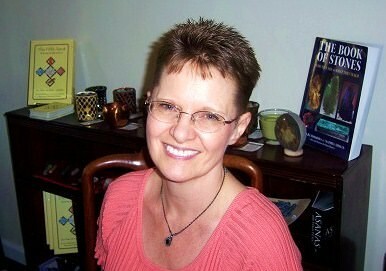 I am now a Reiki Master/Teacher, a Karuna Reiki® Master/Teacher, and I love teaching Reiki and Karuna Reiki® to others. As a teacher, I strongly believe in helping my students connect with their own angels, guides, and deceased loved ones. I want to teach my students how to fish (i.e., learn how to connect directly with Spirit) rather than fishing for them (i.e., being the one to connect for them). I’ve been a teacher of psychic development classes, Reiki classes, and Karuna Reiki® classes for so long that I am proud to say that I now have a number my students working professionally as psychics, mediums, and healers. I love being able to refer clients to them for readings and healings because I know that the clients will be receiving quality care. In this way, I feel that those clients are receiving a part of me through my student. In 2012 we launched the IMPART Certified Practitioners directory. The directory lists each practitioner (that would like to practice professionally) that I have personally trained and that has met all of the requirements to be a IMPART certified psychic, medium, and, or healer. There is a detailed profile for each practitioner you can review. This includes a photo, a bio listing their specialties, and plenty of information for you to get a feel for who you may want to work with. I highly recommend you check out the directory if you would like a psychic reading, mediumship reading, spiritual coaching, reiki or a karuna reiki healing. In person sessions are available, and many of these practitioners work over the phone and at a distance for healings, so it is very convenient to work with them. Plus they are all very good!! I am currently being guided to focus on teaching and creating educational products, and this takes time! I consider all of my work, with both clients and students, to be sacred and an immense honor. Overall, my approach is very eclectic, and no two psychic readings or mediumship sessions are ever alike! I see myself as a tool for Spirit; and during my sessions with clients, Spirit will guide me to what my client needs in order to heal and grow. When doing psychic work and mediumship, I have been blessed with the ability to use a variety of psychic abilities, including clairvoyance, clairaudience, clairsentience, and my strongest skill, claircognizance. During psychic readings, I also sometimes use various metaphysical tools (e.g., runes, ColoRunes®, NumeRunes®, tarot cards, angel cards, pendulums). When conducting healing sessions, I am trained in a large number of techniques, including Reiki, Karuna Reiki®, muscle testing, pendulums, Emotional Freedom Techniques (AKA: meridian tapping, EFT), guided visualizations (e.g., inner child work), spiritual coaching, and hypnosis. Believe it or not, I entered college as a Business Major. After struggling with economics, I began pursuing other academic options and found the behavioral sciences. I eventually earned my B.A. from the California State University, Chico, and completed minors in Religious Studies, Sociology, and Family Relations. I remained at Chico State for my M.A. in Counseling Psychology. I then went on to earn a doctorate in Counseling Psychology from the University of California at Santa Barbara. Although my licenses are currently inactive, I eventually was licensed as a Psychologist in Indiana and then in California. My professional work experience has mostly been in academic settings. I worked for over 25 years at several major universities in a variety of capacities, including academic advising, career counseling, and personal counseling. Before leaving academia to pursue metaphysical and healing work full-time, I was a tenured faculty member in a Southern California university and was working primarily with adults with learning and attentional disorders. 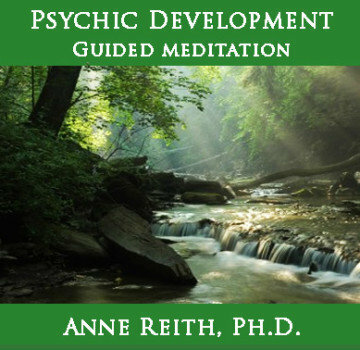 NOTE: To review what Anne’s students have gained from attending her Psychic Development and Reiki classes visit: Reviews and Testimonials Page.